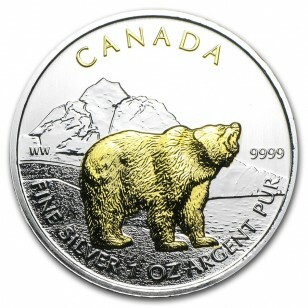 The grizzly is the second of six coins in the Canadian Wildlife Series. With the unprecedented demand of these gorgeous .9999-fine Silver coins, these Grizzly Bear coins will sell out very fast! 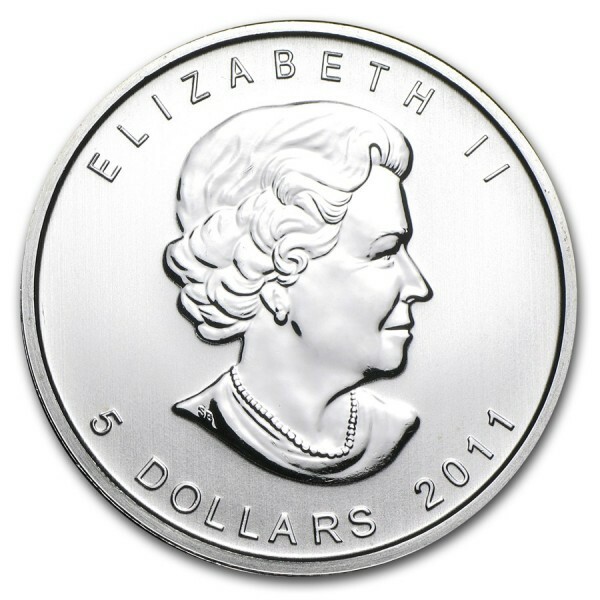 The obverse of the coin bears the likeness of Queen Elizabeth II with a $5 CAN face value. The reverse has a beautifully designed grizzly bear, with an arctic landscape behind this majestic Canadian predator. This wonderful Silver bullion coin is in Brilliant Uncirculated condition! Note: The gold plating of this coin was performed by an experienced third party company.